4 Comments on Joomla – A Social Movement In Tech Industry? It is simply amazing to talk to people from 5 continents over a few days. It’s even more amazing to do that in a place like Bangalore, India where the Joomla World Conference just took place (6-8 Nov 2015). The Indian population stands for >17% of the worlds population. In Bangalore are living more people than in Denmark, about 8.4 million. Whole India is like a continent in itself, with 18 different official languages, plus English and Hindi as a kind of language glue between the regions. If you are European and you are for the first time in India (like me), think of India as Europe. Each Indian region is like a country in Europe, own language, own culture. The only difference, compared to Europe, is, that it is two times bigger in any expectation you can think of and it’s growing fast. The last three years I wasn’t really involved in the Joomla project, so I needed some guidance to keep up with all the stuff happened. I found Pete Bui’s Podcast and listened to a few episodes while traveling. I learned that a lot of things changed/happened and that there is now a volunteers portal and a new extension directory and a transition team and this, and that … and the best thing, I met Pete at the conference and he’s a nice guy! How to make a living with Joomla? In an environment like I described above, is “making a living” out of something hard. It’s hard everywhere in the world, I know, but here and in similar places it’s “a bit” harder, compared to Europe or the US. The whole “money thing” was and is a problem for me too and probably for anyone of you. A journey from Europe to India costs a bit more than 1 000 Euro (~ 70 000 Rupees) and you just don’t go to events like this. Thinking about earning money, I decided to make a presentation on “How to earn money with Joomla” and asked people from the community how they do earn money with Joomla. It was a pleasure to have had Fred Abu (webstar.ug), Daniel (web-eau.net), Mike Demopoulos (mvpdesign.com sorry, I missed you :) ) and Lorenz Ramseyer (bergspitzmedia.ch) who talk a bit about their businesses. I guess it was interesting and inspiring for the attendees too. As I knew Joomla, it was about a CMS and values like “open source matters”. In the last three years, it became more and more a real community too. My first #twitter poll and it has to be about #joomla ! What rocks more ? software or community ? Therefore, the organisation of a Joomla World Conference in the year of Joomla’s 10. anniversary, was of course a good idea. Open Source Matters (OSM) provided budget to pay the travel costs for some attendees and for the OSM Team members (as far as I know). Many people understand the Joomla project as a kind of of social event, and it seems to work. This is more than fine and I’m very happy of being part of that too (even if I don’t like selfies :) ) For me the whole social stuff in the Joomla project is a bit new and I realized I need to learn some “new” ways of communication. 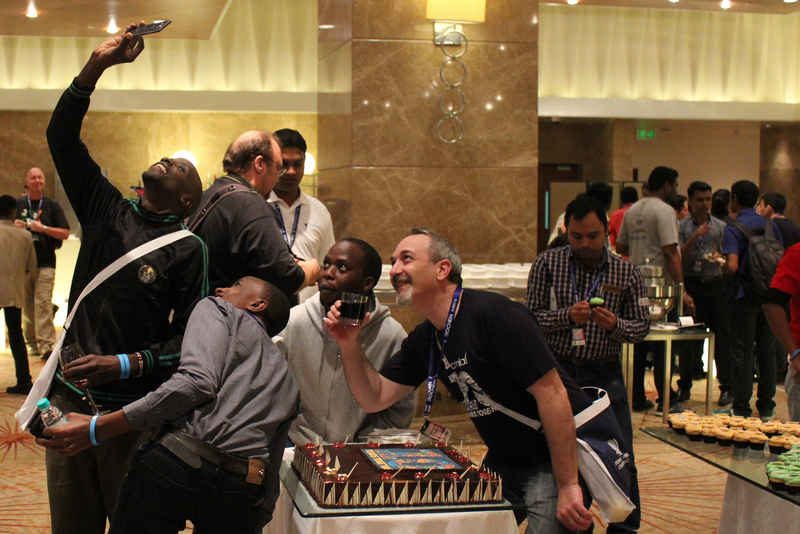 From the social perspective, the Joomla World Conference was a huge success. I want to say thank you to the whole team for the perfect organisation! and beside all of that … write code … it’s a software project! This sounds quite logical to me and it makes me even more curious concerning the upcoming Joomla versions. 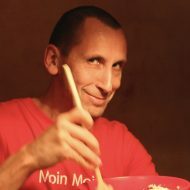 Chris Davenport, the team lead for the Joomla 3.6 branch and Marco Dings responded to Johan, that they want to break as less as possible und put as much as possible into the upcoming 3.x versions. After 10 years with a big success for Joomla, WordPress, Drupal and all the other CMSs it becomes clear that this golden era is ending. All these systems are more or less abstraction layers on PHP that makes programming based on the PHP language easier. A Joomla developer knows the Joomla Framework, not necessarily the whole PHP stuff (same with WordPress and Drupal). We know the effect: PHP made programming easier compared to C language, C made programming easier compared to Assembler, etc. Drupal 8 is now implementing an abstraction layer on top of the Symfony Framework (which is an abstraction layer to PHP too) and it’s not clear to me whether it will work for them. 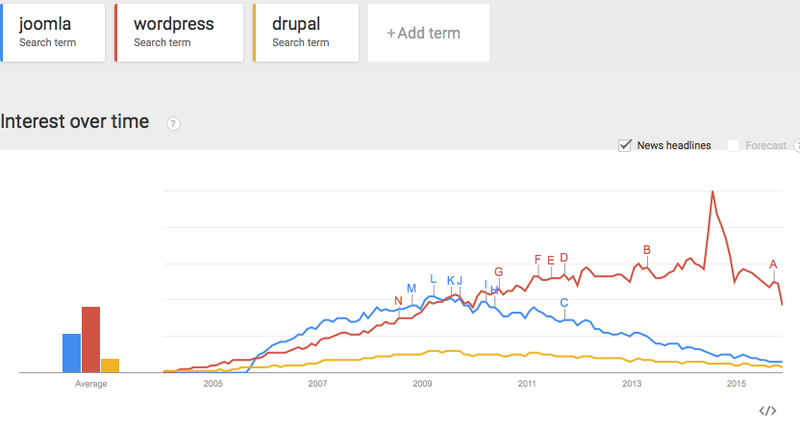 Drupal coding will get much harder. They will probably get some new corporations on board but might also loose many developers. WordPress on the other side was always simple and they are constantly reducing the complexity of the core to a minimum and develop the system in small steps. WordPress is not build on Symfony, but it allows the use it. I know that Google trends is of course not the whole story and I don’t want to insist on particular figures, but when you see the reality today and what is shown in the diagram below, it becomes clear that each of these systems had it’s “CMS-Peak”. That doesn’t mean, that they are not interesting anymore, or you cannot make money with it. Just the opposite is true. It wasn’t planned, but why not, people ask me to do so. more or less the same was told to me by Sascha Dube at Joomladay Germany concerning Pagekit. Joomla project should be aware of these developments, learn from and embrace them. The next Joomla world conference will be held in Vancouver, Canada, Nov. 11-13. 2016 (https://conference.joomla.org/). There is a Joomlabe.at podcast available from the conference team in 2014 to get an impression of them. Note to Pete … new podcast episode on your to do list (Ep71 – Joomla World Conference 2014 is Coming). There is another international Joomla conference called Jandbeyond. It exists much longer than the world conference and it is a must to go for Joomla developers. Next Jandbeyond will be held in Barcelona, Spain, May 20-22 2016 (jandbeyond.org). Listen to the Joomlabe.at podcast with Robert Deutz, the organizer of that conference (Ep51 – Organising Joomla conferences with Robert Deutz). While writing this article, they just published their budget! https://t.co/usGl5tAEo4 Awesome transparency by @jandbeyond . Hope to see other JDays & @jworldcon do similar! The future is hard to predict but the end of capitalism has begun and it’s time to develop new structures. 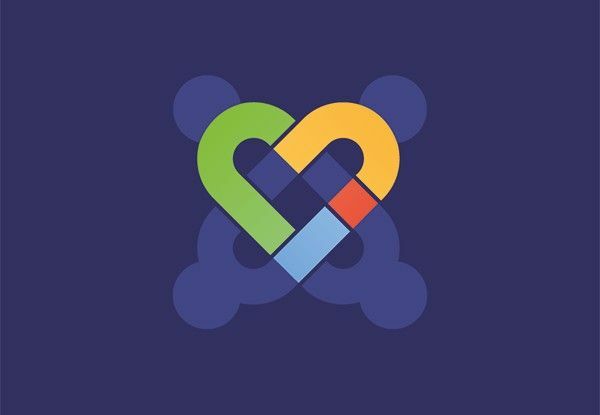 This social experiment of Joomla could be part in that change over the next 10 years and I would like to be part of it. We also have the JSN PageBuilder which has concept of a Joomla Page built from content article. I’m interested in your book as well. Will contact you for further cooperation :) it’s good to see you back with Joomla community! Thank you for your excellent insight to the Joomla World Conference in Bangalore and your thoughts about the CMS peak. I totally agree! It was worth every mile to come all the way to Bangalore and talk to so many Indian Joomlers from the local cummunities (sometimes even 32h hours by train away from Bangalore).